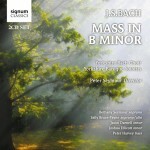 Yorkshire Baroque Soloists has just released a new recording of J.S. 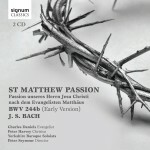 Bach St Matthew Passion BWV 244b (Early version). To co-incide with this event we spotlight our conductor Peter Seymour. In the interview he talks in detail the new recording which uses an edition of an early version of the work prepared by Peter himself. 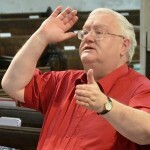 The recording is released by Signum Records and took place at York’s National Centre for Early Music using solo voices – one voice per part – in place of the usual choral forces. The interview gives us insight into his long running association with the Yorkshire Baroque Soloists and also touches on some of Peter’s interests beyond Bach. As with all great music, there is always something new to find to make it worthwhile and rewarding to perform them again and again. Sometimes this is new performing information; sometimes it is having to, or choosing to, find different solo teams (both vocal and instrumental) and seeing how they respond one-to-another. When we performed it live last year, the performance was considerably longer than our usual length and that brought a new perspective to the piece. For this particular occasion you record and early version of the work (BMV 244b) which it is thought was performed on Good Friday. What do you think a typical audience member could have expected as they walked into ‘Bach’s’ church on that particular day? Bach must already have amazed his performers and listeners in the first 12 months of his time at Leipzig. Pieces such as Magnificat and St John Passion, both composed in his first year there, would have presented a considerable musical challenge to the performers – though one I’m sure they could meet. His audience wouldn’t have heard anything like it, nothing with the vivid and colourful orchestration of Magnificat nor the sustained (operatic) drama of St John Passion. So, two years after his first passion setting, they would have perhaps expected something special but perhaps nothing on the scale of the St Matthew either in its use of double choir and orchestra nor the sheer length of the piece. The decision to record Bach’s early version came from strong encouragement to do so from our principal oboist Tony Robson who had performed it in London earlier in the year. It wasn’t just for novelty value but also to hear some versions not usually heard such as Bach’s use of lute in the bass aria “Komm, süsses Kreuz” and a bass soloist for the opening aria/chorus of the 2nd part. As a conductor, how do you approach a long day of recording? The most important matter for me is the preparation. In this case there had to be not only the usual detailed recording schedule in order to use the time effectively and economically but before that I had had to spend 8 weeks editing the music from scratch. That was a wonderful learning time! I had to consider many matters – how accurate was the manuscript; how much did Bach edit the music in rehearsal and performance; the manuscript is a hurried version so what performance presumptions must Bach have made for the 1727 performance; how many of the changes made in his fair copy (written 9 years later when he had time to make more clear his expectations) would have been incorporated into the early version as a matter of course? Did anything notable happen during recording sessions for this particular disc? We all had to re-assess considerable questions – few of the singers had sung all the choruses one voice per part. Hearing the lute obbligato was an exciting moment and made us realise still more clearly what were Bach’s dynamic boundaries. In this early version there is no indication of what instruments should play in the chorales and so we decided to do some with voices and organ only; we’ve never tried that before and it was quite a revelation. What is special about recording with the Yorkshire Baroque Soloists? YBS has been performing both Passions, B minor Mass, Magnificat and Christmas Oratorio on a regular basis since the later 1970s; we have had the same principals since the mid-1980s so they have a familiarity with not only what I’m aiming for but also with one another’s playing. They have a very strong appreciation of one another’s playing abilities and styles so our individual and collective understanding of the pieces has matured over these years. The parts have been edited over those years too – even Bach’s fair copies expect many decisions of articulation, rhythmic alteration, ornamentation and so on; we have developed a consistent style. One notable area in St Matthew Passion is the role of the chorales – so often delivered without expression – where Bach sets false accents (i.e. on weak beats) to draw attention to important words and syllables. Another important area has been in the use of appoggiaturas in the recitatives; over the last few years we have developed a clear policy (based, of course, on primary source information) as to how the Evangelist, Christus and Pilate deal with these and it makes many telling points – Pilate’s comment/question setting up the structural centre of the piece, the soprano recitative (Er hat uns allen wohlgetan) and aria (‘Aus Liebe’). What is the hardest thing about performing the Matthew Passion? Performers of a piece so well known and loved have a duty, the privilege, to represent as faithfully and clearly as they can (at that time) what Bach expects. The line of responsibility from lyricist (St Matthew/Picander) to composer to performer to listener has to be clear and faithful at each point. In some ways the hardest thing is knowing that our understanding will change (although that’s also a very exciting thought!) and we are saying that what we record is our understanding at that moment. Do you have a favourite moment/section of the piece? Moving on from the recording, is there any piece of music or repertoire that haven’t had the opportunity to perform/record yet but would like to? Bach’s Christmas Oratorio would complete a very satisfying collection, having recorded both Passions and B minor Mass, essentially with the same performers. Also, Haydn’s great choral works, Creation, The Seasons and the wonderful late masses offer fantastic challenges but enormous satisfaction! Which living musician do you most admire? There’s no individual I would wish to highlight but a large number of those I most admire have appeared on these Bach recordings. That is one of the great privileges of being the groups’ director (Yorkshire Baroque Soloists and Yorkshire Bach Choir); being able to choose what you perform with whom is an enormous privilege and honour. Who is the composer (dead or alive) that you’d most like to meet? Well Bach has to be up there. I’d like to know more of what he was trying to communicate. But I would probably enjoy Haydn’s humour and life-affirming faith; a piece such as Creation (which YBS/YBC is performing in December 2015) offers more enjoyment to every player and singer and therefore the audience than any other. What is your musical guilty pleasure? Singing songs in a car with my family but, more importantly, having piano lessons from the age of seven with a great teacher who talked of very little other than expression. If you hadn’t become a musician, what other job would you have liked to do? What living person do you admire the most? Not much, but if I wake up I do worry that everyone will turn up for the rehearsals and concert. 1972 when Yvonne and I got married and we were starting our careers, but only if I could know what I know now (about music, that is!). Bach, Handel, Haydn, Yvonne and the rest of my family. The new recording is available to buy or preview here. It can also be downloaded via iTunes. 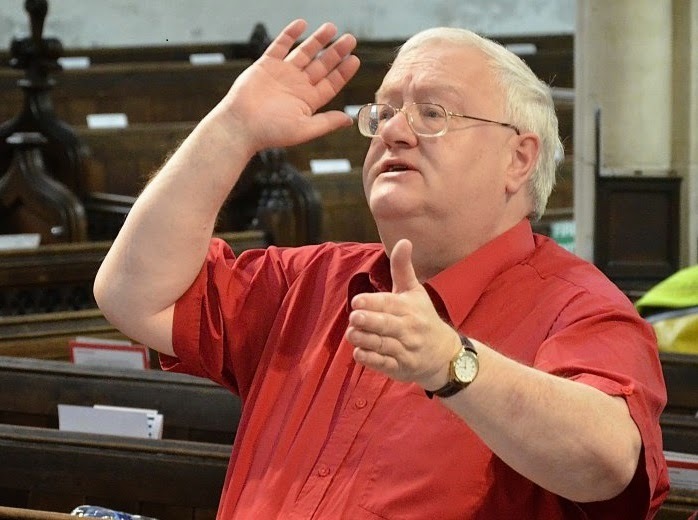 Later in this year Peter directs the Yorkshire Bach Choir and Yorkshire Baroque Soloists in a performance of Dido and Aeneas on Saturday 20 June at St Michael le Belfrey York.